Pool Route For Sale in and around Las Vegas, Nevada region for $30,000! Currently grossing $30,120 and nets $21,540 per year! Route consists of 17 pools, 1 spa, and 7 lawn account. Route has been established for 22 years with many long term clients. Pool and lawn equipment included. Unique opportunity to own a combined pool and lawn route that can be serviced in just 3 days a week. Unlimited potential to grow and expand an already established turnkey business with flexible days and hours. Owner will train. Currently this route grosses $30,120 in revenue, and nets $21,540 per year. Income documentation will be provided to all serious buyers. Expenses include, but are not limited to: chemical cost, equipment, vehicle repair expenses, fuel, insurance for your vehicle, and we recommend liability insurance for your business. The above cash flow represents the profit after an estimated $8,580 per year in operating cost and expenses are subtracted. There is no vehicle included in this sale. The owner services this route using a 2005 Chevy Silverado 2500 HD (177k miles), estimated value $12,000 and a trailer, estimated value $1000. These vehicles are available for purchase as a separate transaction. Common vehicles used for this type of business are pick up trucks. When considering additional vehicle lease or purchase, Routes For Sale recommends Bush Trucks. The gross income for the route is $30,120 per year, minus your above mentioned operating expenses of $8,580, gives you $21,540 in net income or cash flow. The business consist of 17 pools, 1 spa, and 7 lawn accounts. The current owner has owned this business for 22 years. Currently the owner works 4 days per week with Saturday, Sunday and Monday off. Hours and days are flexible. Buyer has communicated that this route could be serviced in 3 days. Be Your Own Boss with flexible hours! 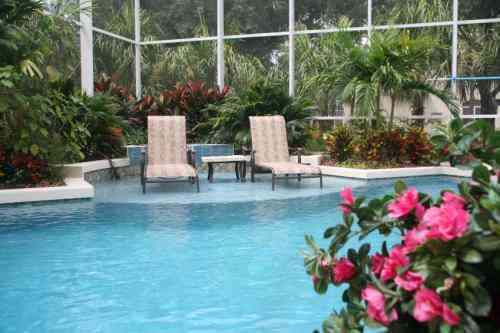 Route consists of pool amd lawn accounts that are owner operated, established for 22 years. Unlimited opportunity to grow and expand an already established turnkey business with flexible days and hours. The long cherished notion of getting a job that would provide both long term security and benefits is close to disappearing in the American workplace. It is no surprise that more people today want to do “their own thing”. Hurry this won’t last long! Priced to sell at $30,000! Contact Us About This Route Here!